Use this section to help you choose your lenses and to complete your prescription details. 1. What do you intend to use your new glasses for? Choose this type if you intend to use your new glasses for close up work only, like reading a novel or newspaper, or doing needlework. Choose this if you intend to use your new glasses for every day use such as driving or simply wearing all the time to see clearly across the room or street. Choose this if you have already worn bi-focals before, or have been recommended to wear bi-focals by your optometrist. 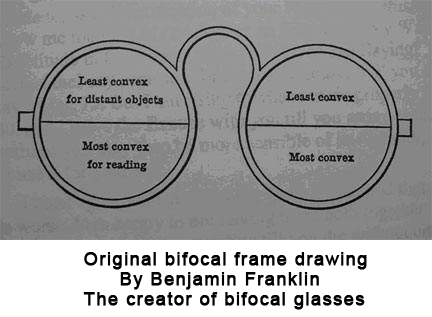 Bifocal lenses are essentially ‘2 lenses in 1’. The top part is for distance vision and the bottom segment is for near vision. Varifocals (or progressive lenses) can be thought of as 3 lenses combined into one. There is an area at the top for distance , an intermediate distance portion , and a near vision segment below that . There is no 'line' or segment visible on a progressive lens, so they look better than bi-focals and have the advantage of giving a full range of distances that can be seen, all with the same glasses. 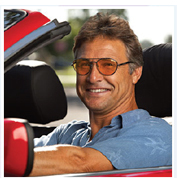 You can save A LOT of money if you buy your varifocal lenses from us. A fitting is required to ensure the glasses work well. At this point, we can only supply vari-focals to those customers who are available to be measured and fitted properly. If you are ordering varifocals, please contact us and we will advise you how a fitting can be arranged. Please note there may be an additional charge for your fitting. If at any point you are unsure about what to do, you can call us and one of our friendly team will guide and help you to select the best type of lens for your frame and prescription. Your glasses already come with FREE standard 1.5 lenses with FREE scratch resistant coatings. However, if you would like your glasses lenses to look thinner, and also be considerably lighter, then you need to select Extra Thin, Very Thin or Super Thin lenses. Depending on the Sph value of your prescription, we recommend thin lenses for all Sph values over 2.5. The table below shows which lens to select. Remember, ALL FRAMES PURCHASED INCLUDE FREE STANDARD LENSES WITH FREE ANTI-SCRATCH COATINGS (worth over £50 in many high street opticians). RIMLESS GLASSES INCLUDE HIGH INDEX LENSES (1.6) FOR BETTER AESTHETICS AND DURABILITY. These lenses regularly cost over £130 in high street shops. Yours already include FREE anti-scratch coatings. You can make your glasses LOOK BETTER by choosing anti-reflection coatings. This coating also reduces reflections when driving, particularly at night. In bright lights, it allows your eyes and face to be seen better by others, instead of the reflections of the lights and surrounding area. You can PROTECT you eyes from sun damage by choosing a UV400 coating. 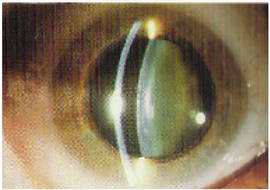 Harmful rays from the sun can lead to increased chances of developing cataracts and other conditions such as pterygium. A UV coating offers protection from these harmful rays. You can make you glasses look like stylish prescription sunglasses by adding some colour. If you would like lenses that go dark in the sunlight automatically, choose Transition lenses. 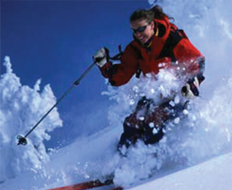 Choose polarizing lenses for very bright light conditions such as those found when skiing or fishing or when travelling to areas where the bright light conditions means there is a lot of glare. 5. Enter Your prescription details. You don’t need to understand your prescription to order online. However, in case you are interested, here are the basics. The Sph value is the ‘Sphere’ value and represents the ‘spherical’ part of your prescription. In basic terms, if it has a minus symbol written before (or above), you are short sighted or myopic. If it has a + symbol (or no symbol), then you are long sighted (hyperopic). In the example below, the Sph values have a + sign. The Cyl value is the ‘cylinder’ part of your prescription and represents the degree of astigmatism present. Again, it has a + or – sign associated with it. The Axis is the meridian of the astigmatism, and is a value between 0 and 180. The Near Add (if present) is the additional power needed for reading or close up work. The PD is the ‘pupillary distance’. It is the distance between the centres of the 2 pupils in millimeters. Read off the SPH, CYL, and Axis values from your prescription and select the appropriate numbers from the dropdown menus. Remember if the is a minus – sign usually written before or above the SPH value, (see example) then select the minus sign value number from the dropdown menu. In this example, the Left Eye Sph (Sphere) value is +0.75. For this, select the 0.75 value from the Sph dropdown menu. The Cyl (Cylinder) value for the left eye is -0.75. So, for this, select the -0.75 value from the dropdown menu. The Axis number is a value from 0 to 180. Simply select the right value for each eye. If you are ordering reading glasses, or are ordering bifocal or vari-focal lenses, then you need to enter the Add value. The ADD is usually exactly the same for both eyes. Some optometrists only write down the ADD for 1 eye. (as in the above example). Others write it down for both eyes. Enter the same number, into the RIGHT EYE field as the LEFT EYE field for the ADD. 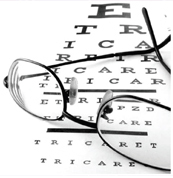 The best way to get your PD is to request that your optometrist give it to you at the time of your sight test. They must give you your prescription BY LAW, but they do not have to give you a PD measurement. Thus, your prescription may or may not have the PD written on it. If your optician has made glasses for you before, he or she should know it and so ought to be able to supply you with it. The PD is often called the 'Pupillary Distance, or more correctly, the 'Inter-Pupillary Distance'. It is the distance between the centres of the 2 pupils, whilst looking straight ahead into the distance. If you cannot obtain this, then don’t worry. If you leave this field blank, we can use an average measurement based on the UK population. It is possible to measure your own PD – or get somebody to measure it for you. In order to measure your own PD, you need a mirror and a ruler. 1. Look into the mirror and hold the ruler across the bridge of your nose, so the ruler is against your forehead, and the ruler markings are clearly seen. 2. Line up the centre of your right pupil, with the zero mark on the ruler. It might be easier if you keep the left eye closed, whilst looking straight ahead at the reflection of your right eye, with your right eye. 3. Then, close the right eye and read off the distance to the centre of the left pupil, still looking straight ahead with the left eye, directly at the reflection of the left eye in the mirror. 4. Be careful not to move the ruler sideways whilst measuring. Touching your forehead with the ruler gives it a rest, and helps stop unintended movements. 5. Check your measurement by closing the left eye and then the right eye alternately. This way, you can check the zero is still lined up correctly. Most people have a PD of between 55mm and 70mm. 1.You can get a friend or partner to measure your PD for you. 2.Sit opposite your partner, with your eyes at the same level, about 2 feet apart (arms length). 3.Your partner then asks you to look into his/her left eye. You keep both eyes open. Your partner can close his/her right eye. Then, your partner asks you to look at his/her right eye (which is exactly opposite your left eye). Your partner can close his/her left eye, but you keep both eyes open. The partner reads off the centre of your left pupil, against the ruler, ensuring the ruler has not moved. The partner can check, by going back and forth between the two eyes, asking you to look at his left eye, then right eye in quick succession. Take a picture of yourself (or ask somebody to take it for you) looking into the distance, with a ruler rested across your forehead over the bridge of your eyes, so that the markings can be seen. E-mail the picture to us along with your order number. We will read off your PD for you. Now you have entered in all of your prescription details, you are ready to proceed to the checkout or continue shopping.